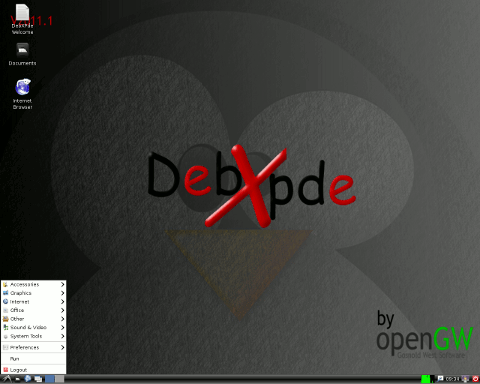 DebXPde was a Debian-based live CD featuring the LXDE desktop environment and a trimmed-down collection of lightweight applications for everyday tasks. Rate this project Pierre Schmitz has announced the release of Arch Linux 2012.07.15 "netinstall" CD image. Since Arch Linux is a strictly rolling-release distribution, this release merely provides an updated system installer and it does not represent a new Arch Linux "version" in the traditional sense of the word. From the announcement: "New CD images containing a current Arch Linux snapshot have been released. Most notable change is that AIF (the Arch Installation Framework) is no longer included but instead some simple install scripts are provided to aid in the installation process. This means that a menu driven installer is no longer available and we rely more on documentation to guide new users. Instead of six different images we only provide a single one which can be booted into an i686 and x86_64 live system to install Arch Linux over the network." Download the new Arch Linux "netinstall" CD image from here: archlinux-2012.07.15-netinstall-dual.iso (483MB, MD5, torrent). 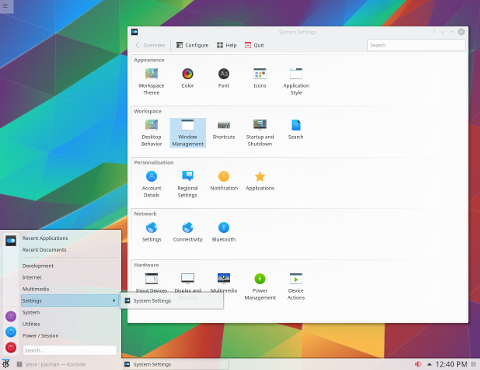 Pierre Schmitz has announced the availability of Arch Linux 2012.11.01, the latest of the regular installation CD images that the project providing a popular rolling-release Linux distribution now makes available at the beginning of each month. This is mostly a bug-fix release. From the release announcement: "The latest snapshot of our install and rescue media can be found on our download page. The 2012.11.01 ISO image mainly contains minor bug fixes, cleanups and new packages compared to the previous one: first media with Linux kernel 3.6; copytoram=n can be used to not copy the image to RAM on network boot - this is probably unreliable but an option for systems with very low memory; cowfile_size boot parameter mainly for persistent COW on VFAT, see the README file for details." Download: archlinux-2012.11.01-dual.iso (417MB, MD5, torrent). Pierre Schmitz has announced the release of Arch Linux 2012.10.06, the latest release of the project's installation CD image - now with systemd as the service manager: "The October release of the Arch Linux install medium is available for download and can be used for new installs or as a rescue system. It contains a set of updated packages and the following notable changes: systemd is used to boot up the live system; initscripts are no longer available on the live system but are still installed by default on the target system - this is likely to change in the near future; EFI boot and setup has been simplified; Gummiboot is used to display a menu on EFI systems; the following new packages are available on the live system: ethtool, FSArchiver, Gummiboot, Midnight Commander, Partclone, Partimage, rEFInd, rfkill, sudo, TestDisk, wget, xl2tpd." Here is the brief release announcement. Download: archlinux-2012.10.06-dual.iso (415MB, MD5, torrent). Pierre Schmitz has announced the availability of a new Arch Linux installer image, version 2012.09.07: "As is customary by now there is a new install medium available at the beginning of this month. The live system can be downloaded from the download page and used for new installs or as a rescue system. In addition to a couple of updated packages and bug fixes the following changes stand out: first medium with Linux kernel 3.5 (3.5.3); the script boot parameter works again; when booting via PXE and NFS or NBD the ISO image will be copied to RAM to ensure more stable usage; the live medium contains usb_modeswitch and wvdial which allows to establish a network connection using an UMTS USB dongle. Furthermore the newest versions of initscripts, systemd and netcfg are included." Here is the brief release announcement. Download: archlinux-2012.09.07-dual.iso (392MB, MD5, torrent). Don't miss the excellent installation guide that will guide you through the initial Arch Linux setup. Pierre Schmitz has announced the availability of a new installation CD/USB image for Arch Linux, version 2012.08.04: "The August snapshot of our live and install media comes with updated packages and the following changes on top of the previous iso image: GRUB 2.00 instead of the legacy 0.9 version is available; the installation guide can be found at /root/install.txt; ZSH with Grml's configuration is used as interactive shell to provide a user friendly and more convenient environment, this includes completion support for pacstrap, arch-chroot, pacman and most other tools; the network daemon, which will automatically setup your network if DHCP is available, is started by default. Note that all these changes only affect the live system and not the base system you install using pacstrap." Here is the brief release announcement. Download from here: archlinux-2012.08.04-dual.iso (384MB, MD5, torrent). Dieter Plaetinck has announced the release of Arch Linux 2011.08.19, the first new release of the Arch Linux installation media in 15 months: "Time for a much needed update to the Arch installation media, as the last release (2010.05) is not only quite outdated, but now yields broken installations if you do a netinstall. What has changed in this period of more than a year? Experimental support for Btrfs and NILFS2; support syslinux bootloader; changes to configuration formats to support new rc.conf and Linux 3.0; make selecting source more flexible; show package descriptions when installing packages; snapshot of current core, including Linux kernel 3.0.3, pacman 3.5.4, glibc 2.14, mkinitcpio 0.7.2, initscripts 2011.07.3 and netcfg 2.6.7...." Read the rest of the release announcement for further details. Download (MD5): archlinux-2011.08.19-core-i686.iso (371MB, torrent), archlinux-2011.08.19-core-x86_64.iso (377MB, torrent). Dieter Plaetinck has announced the availability of an updated set of Arch Linux installation CD images, version 2010.05: "New installation media are available. There are fewer of them and they are smaller. But they can do more. Notable changes: all ISO files can now be burned onto CDs as well as written to media like USB sticks; more than half of the packages in core are now xz compressed; next to the single architecture images we provide dual images which can be used as 32-bit or 64-bit medium; use isolinux bootloader exclusively for booting the live media; snapshot of current core, including Linux kernel 2.6.33.4, Pacman 3.3.3 and glibc 2.11.1; updated Memtest86+; support for PXE booting; provide wpa_supplicant; support virtio...." Read the rest of the release announcement for more details. Download (MD5): archlinux-2010.05-core-i686.iso (324MB, torrent), archlinux-2010.05-core-x86_64.iso (340MB, torrent). Dieter Plaetinck has announced the release of a new set of installation CD images for Arch Linux, version 2009.08: "These images are built from a current snapshot of core, which includes Linux kernel 2.6.30.4, udev 141 and Pacman 3.3.0. Changes compared to 2009.02: more up-to-date software; usage of new AIF installer, which brings better disk editor with support for dm_crypt and LVM setups, support for automated installations using configuration files, a framework to build your own installation procedures, better date/time setting with NTP support, re-factored GRUB installation routines and usability improvements; Aufs instead of Unionfs; enhanced boot device detection on image start; bug fixes (XFS freeze, mirror setting, clock corrections, network settings)." See the release announcement and release notes for more details. Download (MD5): archlinux-2009.08-core-i686.iso (344MB, torrent), archlinux-2009.08-core-x86_64.iso (364MB, torrent). Aaron Griffin has announced the release of Arch Linux 2009.02, an independently developed community distribution, based on a rolling-release package model and targeted at competent GNU/Linux users: "We proudly announce the release of the new Arch Linux installation images, version 2009.02. It took us quite a while, but we think the result is worth it - we added some cool new things and ironed out some long-lasting imperfections. 2009.02 comes with the following features: Linux kernel 2.6.28; ext4 support, installation can be done on a ext4 root partition; rescue and maintenance capabilities for ext4 root partitions; fallback ISOs with the ISOLINUX bootloader, for those that have trouble booting GRUB-based images; several bug fixes in the installer; brought the included documentation up to date; inclusion of AIF (Arch Linux Installation Framework), the next generation installer, currently under development." Here is the full release announcement. Download (MD5): archlinux-2009.02-core-i686.iso (311MB), archlinux-2009.02-core-x86_64.iso (326MB).